This post is from contributor, Sherry Hayes. We homeschoolers have amazing challenges, especially if we have numerous children at different learning levels. Being the mother of 15 children, I sometimes wish there was a 48-hour day, or that I had eight arms and legs (and eyes in the back of my head). 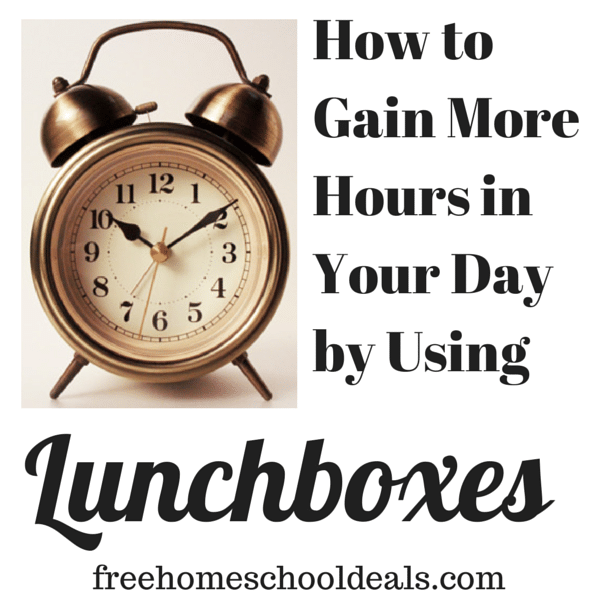 Since I don’t, I try to look for ways to lessen my work load and save time. This is why I LOVE lunchboxes! I know they are supposed to be for kids who go out of the house to school each day, but to us they are cheap, wonderful convenience food! We have a stack of plastic storage containers with partitions in our cupboard (in a few different shapes and sizes which I have collected over the years–Rubbermaid sells some pretty cheaply that seem to last well here) which we fill with all sorts of goodies the night before for the next day’s lunch. This means that we don’t have to stop all of the wonderful learning we are doing for cooking, cleaning and “crowd control.” We simply grab a box and a drink, and eat up! Besides a little bit of general clean-up and the washing of the lunchboxes themselves, there is little to no interruptive work involved in the middle of our day. Celery, cucumbers, broccoli, sweet peppers, etc. Orange slices, bananas, apples, grapes etc. Remember, only a small amount of a side has to be offered, and most of these can be bought in bulk so they are not as costly. For instance, a #10 can of pineapple tidbits at our Sam’s Club is less than $4, and a box of 45 packages of peanuts is only $8! A colossal jar of pickles is under $4, and the corn chips are a great buy. This is also a marvelous answer for those who are dealing with food allergies and special diets. 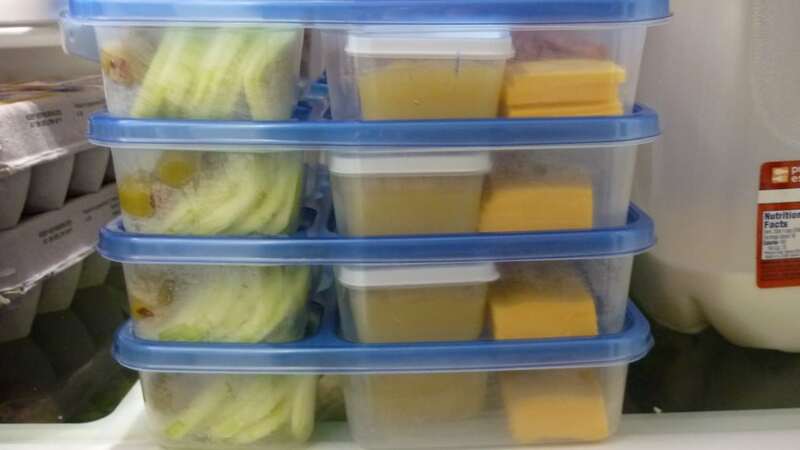 You can obtain some inspiration by doing a Google search for “lunchbox ideas” (be forewarned, some of the ideas are pretty outrageous–we keep ours simple and sweet). What sorts of lunchbox themes and sides can you think of? Sherry K. Hayes loves the Lord Jesus Christ, her husband, and all of their 15 children! She has been homeschooling for more than 25 years, has seen the “graduation” of eight of her children, and continues to enjoy the remaining 7 as they live and love together at the foot of the Rocky Mountains in scenic Colorado. You can read more about her family and her children on her blog, Large Family Mothering. 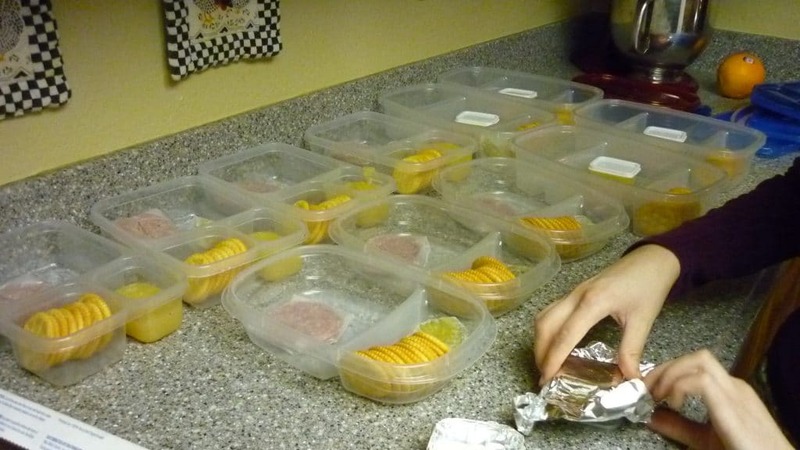 My kids always loved homemade lunchables, as well. Tortillas with cheese and salsa that they can roll up themselves are fun, too, or you can make them ahead of time with beans and rice or peanut butter and honey. We also love hummus and pita chips or veggies.